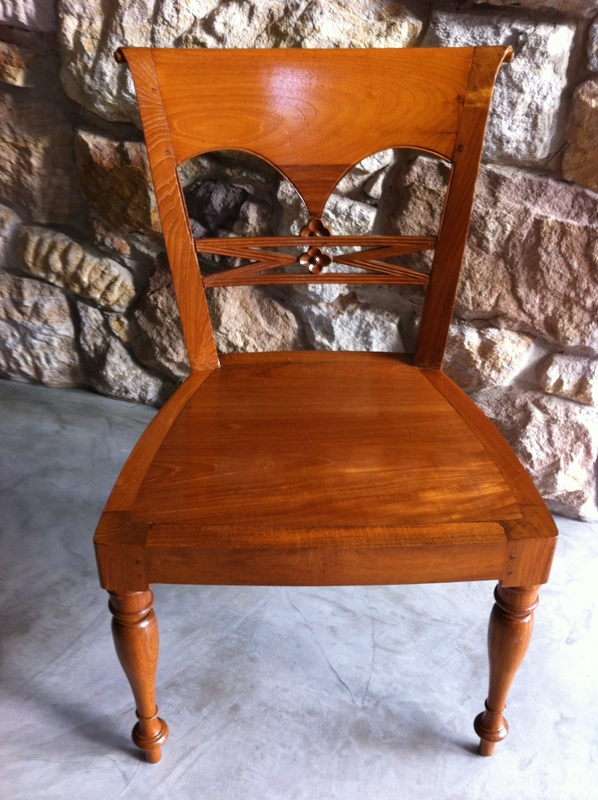 BROKEN Dining room chair – Can it be Saved?????? What is it about teenage boys who can’t sit still and need to rock back & forth on the dining room chair. No matter who I talk to this is a common theme. 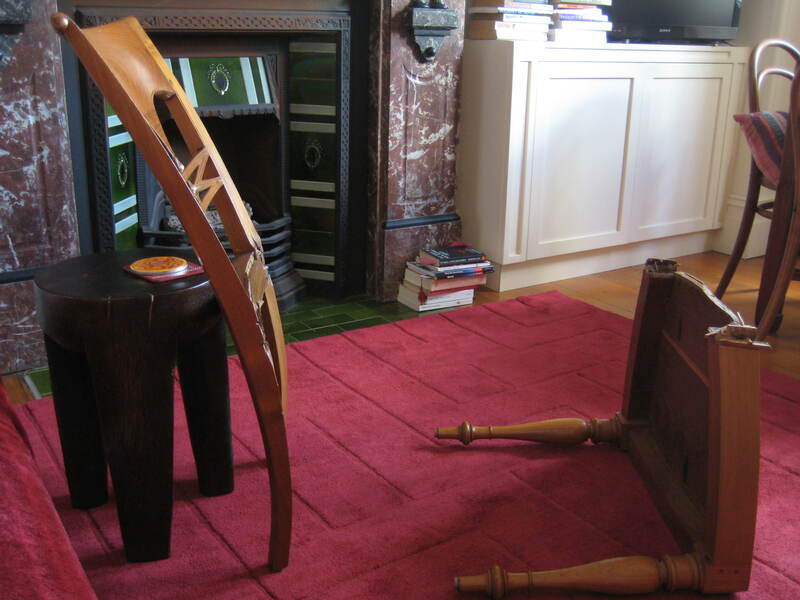 Of course the inevitable happens , after countless raves at them to stop it – Yep the whole chair breaks. 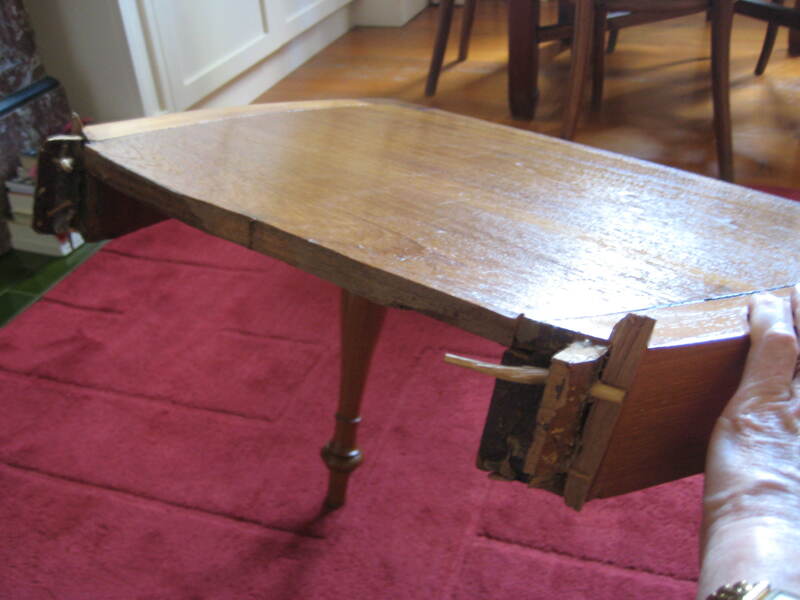 But can it be fixed or do you chuck it out. 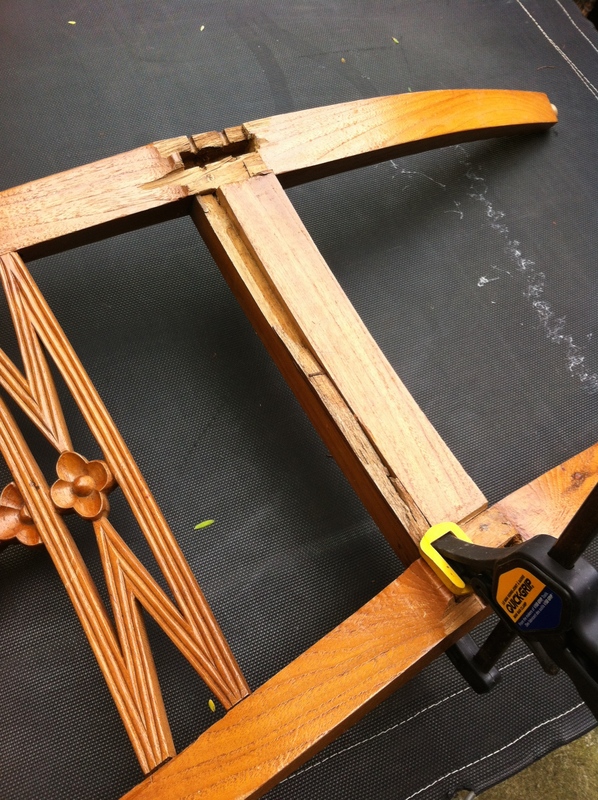 After a friend told me about the chair I said I would try to fix it for her. 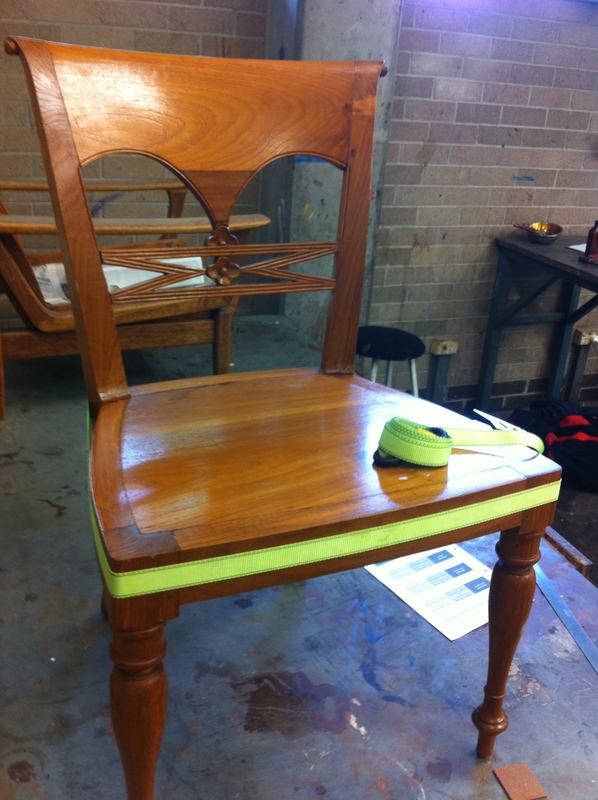 Time to put those lessons from Furnishing Finishing course into use. 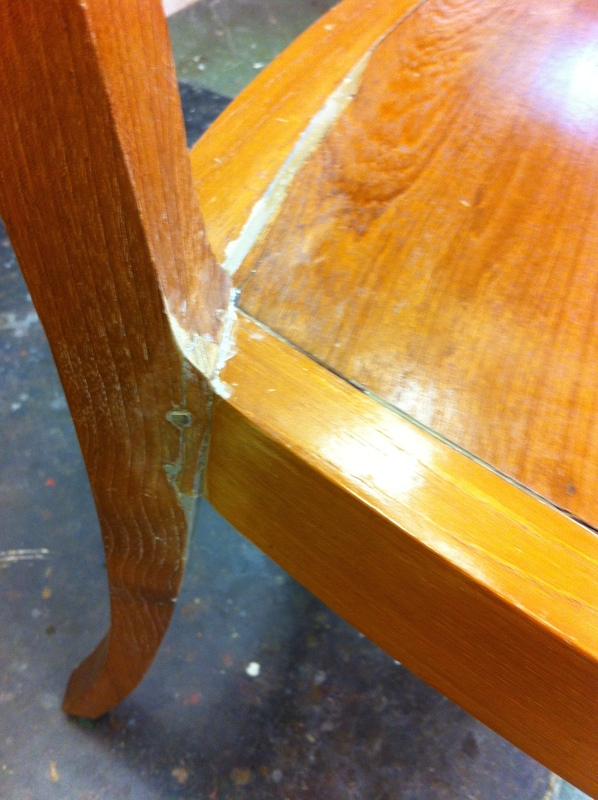 First off all the old glue needed to be sanded or scraped off so the new glue would adhere. 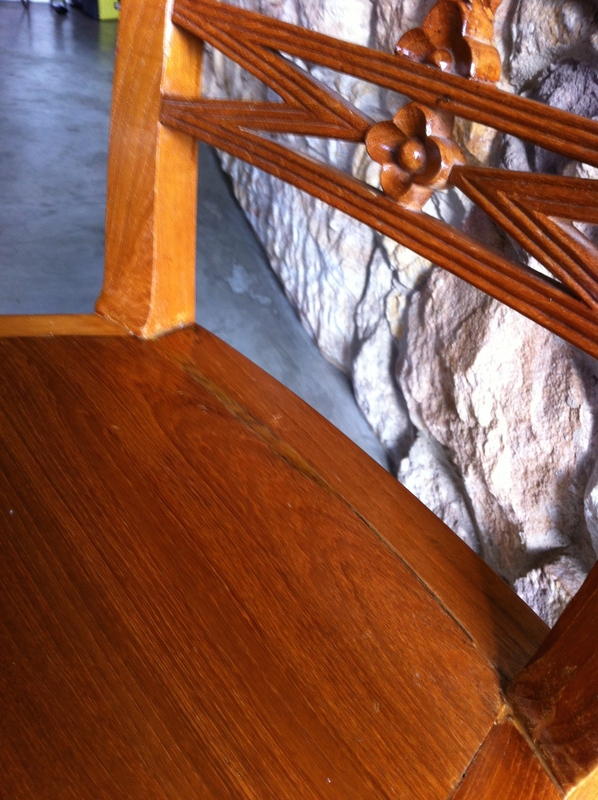 In a number of areas the snap wood needed to be taken off so it would fit together again. 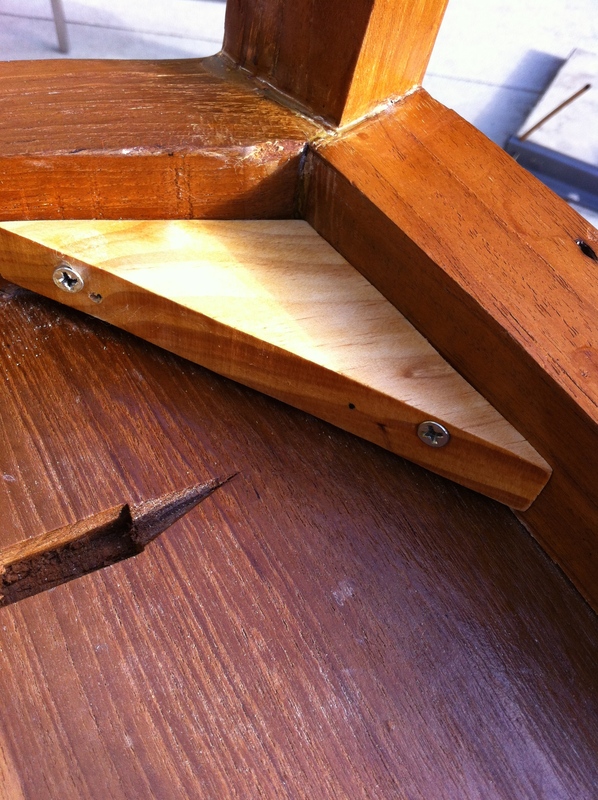 All joints were glued and clamped together. Once that job was done a fair amount of filling was required with epoxy. Once the epoxy was dried I sanded the areas back to smooth then it was the job of touching up all those areas to get the colour looking the same. 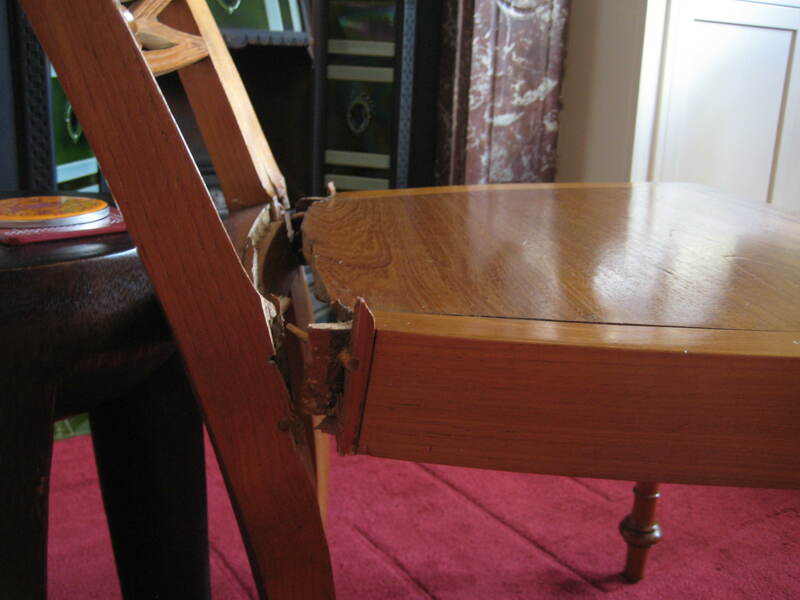 Whoops one more thing I added corner chocks underneath to give the back legs more strength – hopefully to save from another teenager rocking on the chair and snapping it.